my mixer mate bowls arrived the day prior leaving for san francisco. it came via ups air, literally heaven sent! for hector’s take for ROSE’S heavenly CAKES: Saint-Honore Triffle (page 227), the whipped cream topping was done on location. the mixer mate bowl is generous in size and sturdily built and thoroughly thought over! it is very sturdy, stable on the counter, and easy to grab. it also has wonderful pouring spouts on all four sides. 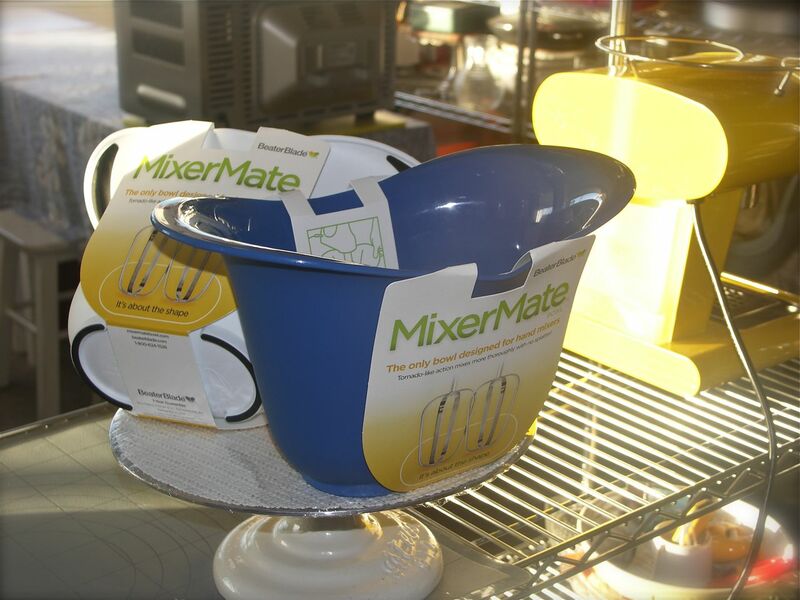 because the mixer mate bowl is large and sturdy, i think i will replace all my bowls with mixer mate bowls! you can use the mixer mate bowl for just about any kitchen task calling for bowls! i am considering never whipping cream with an electric mixer. That whipped cream looks absolutely perfect! Glad to get your review on the beater bowl! thx J. I used the recipe on the book with the higher amount of corn starch. I think the cream was 34-36% which isn’t that low but I wanted some extra insurance considering I wasn’t doing this at home. the corn starch cooking looked too thick in my opinion as u can see on the pics, however it blended flawlessly when added to the whipping cream. and to my tasters, not a trace of starchiness was perceived when savoring this incredible multidimensional trifle! I still have the reminder 2 layers and may serve it sometime soon. it freezes perfectly, specially the macerated rambutans without any loss of texture. strawberries won’t!